According to Salesforce, 80% of senior-ranking marketers state that a cohesive customer journey is absolutely critical for success. These marketers understand how a customer or user journey map can streamline processes and provide customers with a consistent experience with a brand. Ideally, a customer journey map transforms the online customer journey into a visually accessible method for digital marketers to use to their advantage. A customer journey map has proven to be so effective in companies that the Gartner Group predicts that 60% of large organizations will contain in-house customer journey mapping abilities in 2018. If this percentage of large organizations understand the importance of a comprehensive customer journey map, it’s due time for other professional digital marketers to begin considering the creation of their own. To streamline your customer experience and be consistently available to consumers throughout their online experience, read on to uncover how you can create a best-in-class customer journey map for your own brand. 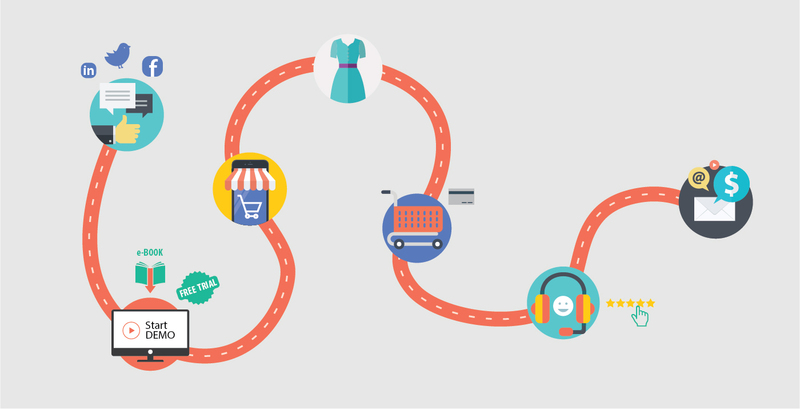 Now that you understand what a customer journey map is and how it can take your digital marketing efforts to the next level, let’s jump into how to map out your online customer journey. Your customer’s journey is complex, so the job of the customer journey map is to make it as focused and simple as possible. Ideally, your brand will already have an online sales funnel developed that demonstrates how leads move through your content and marketing strategies to eventually complete a purchase. 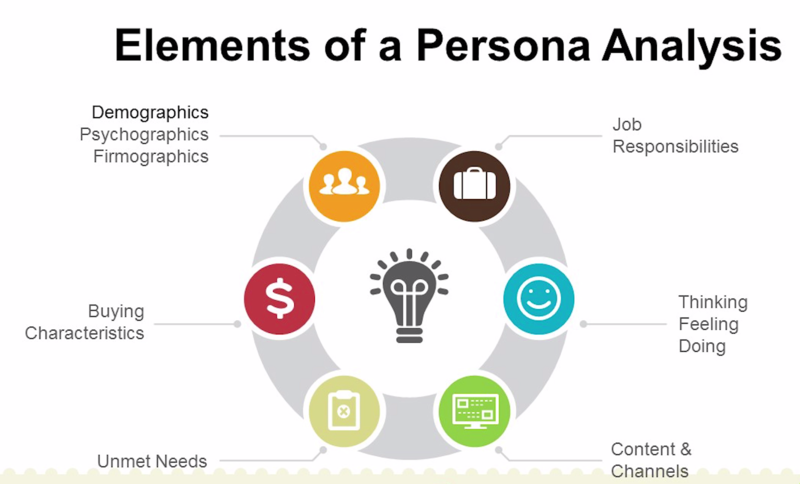 This information will provide you with a guideline as to how many potential touchpoints a customer has with your brand and content, and how each interaction feeds into the next. Regardless of the massive increase in customer data, it’s tough to truly think like a customer. Each prospect is a unique human with different needs, emotions, personalities, responsibilities, and so on. So how can you, as a digital marketer, understand how your customers are making choices to eventually reach the end of your sales funnel and purchase your product or service? 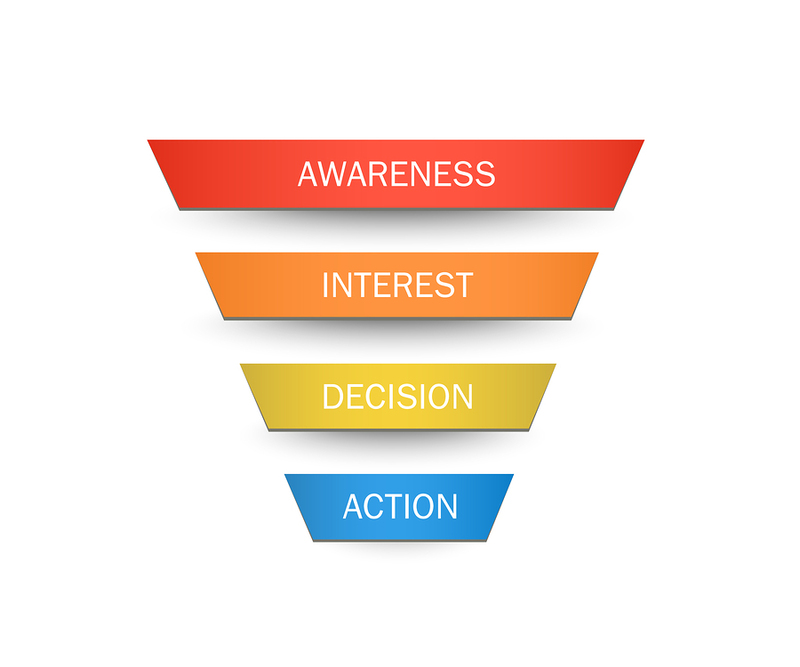 Although you won’t be able to predict a prospect’s next-steps with 100% accuracy, you can align their goals with varying stages of your sales funnel, while moving through the process yourself. Track these steps as you go through a variety of touchpoints and combinations of choices. If you come across a section of your buying journey that doesn’t feel like the next step is natural or organic, make note, and optimize this step to make the customer journey more logical and straightforward. If you really want to optimize your customer journey, review transcripts of support calls and emails to track where a purchase process went wrong and work to fix these issues before moving onto the next step. Simply stated, touchpoints are any digital place on which a customer can access information about your brand or engage with your website. In turn, these touchpoints are also critical for interaction and conversion on the business end of things. First things first, though: create a visually-appealing customer journey map that is accessible for all necessary team members. A graphic designer can help compile your findings and touchpoints in a visual sequence that is understandable, logical, and beautiful. Now that you’ve identified each possible touchpoint, grouped them into logical areas sequences, and developed an accessible customer journey map, it’s time to implement your new findings and see how they work digitally. Platforms like Google Analytics will be of immense help if you’re looking to see where buyers are dropping out of the customer journey on a regular basis. If you notice patterns such as a lack of click-through from newsletters or customer abandonment just before the purchase is completed, analyze these touchpoints and make necessary improvements. Targeted prospects want their journey to be as simple as possible, so including too many touchpoints in their buying process may not keep them engaged the entire way through. While reviewing your customer journey map, make sure that the journey is easy enough to keep them taking the ideal logical steps while providing the personalized and educational content they need to stay engaged. Like most aspects of a digital marketing strategy, your online customer journey will frequently change as technology develops and new digital platforms are introduced into the buying cycle. By taking the time to regularly review how your customers are moving through your buying cycle, you can identify gaps and develop processes to streamline the customer experience. According to Aberdeen Group’s Customer Journey Mapping: Lead the Way to Advocacy 2016 report, organizations experience a 16.8% decrease in the size of the sales cycle when a user journey map is developed, implemented, and maintained successfully. 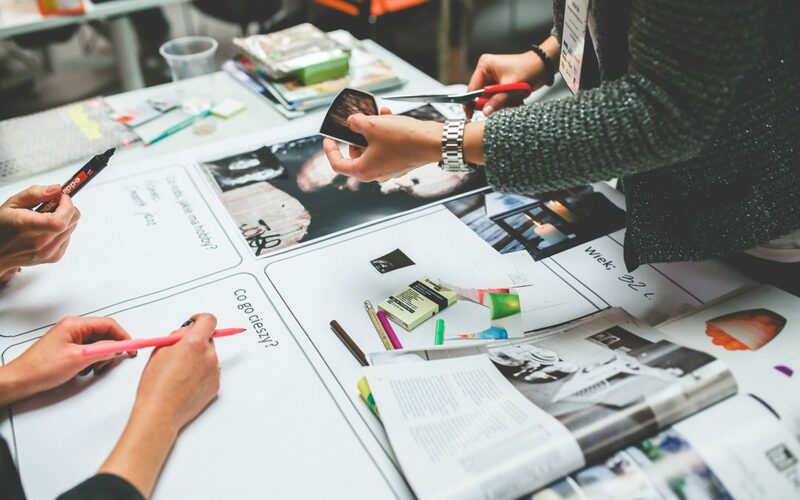 Although the process of creating a customer journey map can be a timely endeavor for digital marketers, it provides unparalleled value for both your brand and your customers.